Airfield GSB-88® Seal Coating & Asphalt Preservation | Axtell's, Inc.
Two primary causes of asphalt deterioration are surface oxidation and moisture damage. 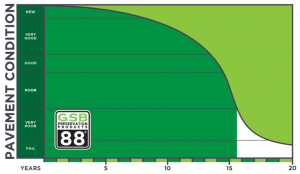 GSB-88® is designed to mitigate these impacts by reintroducing essential binders to the pavement matrix, enhancing the structure and adding years of life, while simultaneously sealing the surface to help repel water. The binders also prevent or cure surface raveling, which produces foreign object debris (FOD) that can damage or destroy jet engines. Based on nearly three decades of projects, and studies, the Department of the Navy concluded that the average treatment cycle for GSB-88 is five years. This is considerably longer than coal tar products and much more environmentally friendly as well. 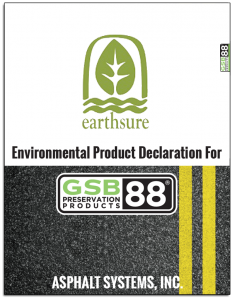 GSB-88® (gilsonite sealer-binder emulsion) is an environmentally friendly restorative sealer for pavements that are in fair to good condition. Economical and versatile, it has been used for pavement preservation since 1988. Axtell’s, Inc. began applying GSB-88® in 2015 and is specialized specifically in Airport applications. 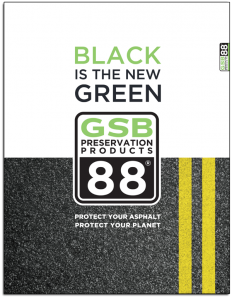 The GSB-88® material is produced by Utah based Asphalt Systems, Inc. This gilsonite-based, environmentally-friendly emulsion product enhances, seals, and extends the life of asphalt at a low cost per square yard. Formulated in 1988, it is applied on pavements ranging from high-speed state highways to parking lots, city streets, county roads, and more than 500 military & civil airport runways – from Alaska to Florida and Maine to California. This product fully meets all Federal P-608 specifications for pavement preservation. Axtell’s, Inc. currently services airports in all states East of the Mississippi. The GSB-88®/RPS sealer has a proven history of success through wide applications and great tolerance for extreme environmental conditions. Throughout the past decade, the GSB-88®/RPS sealer has been successfully applied on commercial and general aviation runways (grooved and un-grooved), taxiways, and ramps. The sealer’s environmental performance has been tested under all four regions of the U.S.: wet-freeze, dry-freeze, wet-no freeze, and dry-no freeze. GSB-88® is the only product in the asphalt industry to undergo rigorous independent third-party environmental testing. After an intensive 2011 Life Cycle Assessment by the Institute for Environmental Research & Education (IERE), GSB-88® earned an Environmental Product Declaration (EPD) attesting to the significant environmental benefits of its use in preserving pavement. 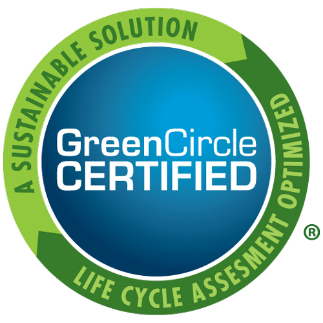 GSB-88® has also been honored with a GreenCircle®/LEED Certification, recognizing that one application every five years can significantly extend the life of asphalt and help reduce global warming, acidification and eutrophication by nearly 50% when compared to reconstruction. 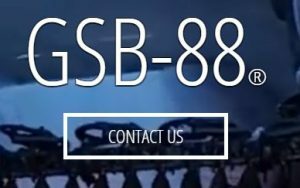 Contact us today to inquire about GSB-88 options for your airfield! Availability: GSB-88® is available in either a concentrate or ready to use form. The concentrate form allows large shipments via tank truck, ISO container, and flextank or railroad tank car. The concentrate form must be diluted with hot water prior to application. GSB-88® is available in either a concentrate or ready to use form. The concentrate form allows large shipments via tank truck or railroad tank car. The concentrate form must be diluted with water prior to application. Residue by Distillation, or Evaporation. . . . . . . . . . . . . . . . . . . . 57% min. 5 day Settlement test ASTM D-244. . . . . . . . . . . . . . . . . . . . . . 5.0% max. Saybolt Viscosity at 77°F (25°C) ASTM D-244 . . . . . . . . . . . 10 to 50 sec. Viscosity astm 275°F (135°C) ASTM D-4402 . . . . . . . . . . . 1750 cts max. Solubility in 1,1,1 trichloroethylene ASTM D-2042 . . . . . . . . 97.5% min. Penetration ASTM D-5 . . . . . . . . . . . . . . . . . . . . . . . . . . . . . 50 dmm max. Asphaltenes ASTM D-2007. . . . . . . . . . . . . . . . . . . . . . . . . . . . . 15% min. Saturates ASTM D-2007. . . . . . . . . . . . . . . . . . . . . . . . . . . . . . . 15% max. Polar Compounds ASTM D-2007 . . . . . . . . . . . . . . . . . . . . . . . . 25% min. Aromatics ASTM D-2007 . . . . . . . . . . . . . . . . . . . . . . . . . . . . . . 15% min. (1) pH may be used in lieu of the particle charge test which is sometimes inconclusive in slow setting, bituminous emulsions. (2) Pumping stability is tested by pumping 1 pint, (475 ml) of GSB-88® diluted 1 part concentrate to 1 part water, at 77°F (25°C), through a 1/4inch gear pump operating 1750 rpm for 10 minutes with no significant separation or coagulation. GSB-88® is to be stored in vertical storage tanks and shall be handled like any standard asphalt emulsion. The storage tank should be equipped with a slow revolution mechanical agitator. Hot water heating coils, electrical coils, or electrical heaters are required in colder climates to prevent the emulsion from freezing. Positive displacement gear pumps should be used to transfer and apply GSB-88® materials. Storage and handling temperature are 50°F (10°C) to 160°F (71oC). GSB-88® should be protected from freezing, or whenever outside temperature drops below 40°F (4°C) for prolonged time periods. Equipment: GSB-88® is to be applied with standard bituminous distributors. The equipment must be in good working order, and contain no contaminants or dilutents in the tank. Spreader bar tips must be clean, free of burrs, and adjusted for regulated flow. Any type of tip or pressure source is suitable that will maintain predetermined flow rates and constant pressure during the application process. The equipment should be tested under pressure for leaks and to insure it is in working order before use. No special mixing equipment is necessary since GSB-88® concentrate may be easily diluted with water in the spreader tank. 1 part GSB-88® to 1 part water for most applications is recommended. 2 parts GSB-88® to 1 part water for use on hills where run off may be of concern, or on very rough surface texture pavements. Polymer Addition: The polymer shall be a vinyl acrylic polymer approved for use by Asphalt Systems Inc... Consult Asphalt System's Technical Representative for specific details. Rate of spread is normally determined by the texture, porosity, and age of the asphalt pavement to be sealed. Application rate can vary from 0.08 to 0.15 gallons per square yard (0.36 to 0.68 Liters to Square Meter). For 2:1 dilution, 0.08 to 0.12 gallons per square yard (0.36 to 0.54 Liters to square meter) is recommended. For 1: 1 dilution, 0.10 to 0.15 gallons per square yard (0.46 to 0.68 Liter to square meter) is recommended. Exceeding recommended application rates is not recommended without consulting Asphalt System's Technical Representative. Cure Time: Expected cure times with proper applications should generally range from 2-4 hours depending upon local climatic conditions (humidity, surface temperature, daytime/ nighttime application, spread rates and dilution, etc). Sheltered or shady areas may require longer cure times. Application Precautions: GSB-88® is not to be applied to wet or damp pavement surfaces. Do not apply during rainy or damp weather, or when rain is anticipated within 8 hours after application is completed. Pavement surface temperatures should be 50°F (10°C) and rising before application of GSB-88® is applied. At least three hours of daylight should remain after completion of the application. The Emulsion temperature for application should be 130oF, but not exceed 160oF. GSB-88® should not be applied on extremely windy days. Preparation of Pavement Surfaces: Repair and patch all major pavement defects. All cracks, other than hairline cracks, should be filled with suitable bituminous crack filler. Scrape all oil spots to remove excess oil and dirt. Just before applying GSB-88® clean the asphalt surface of all loose dust, dirt, and other debris. Sanding: If needed, sanding should be done at the same time GSB-88® is applied to maintain adequate surface friction. A hard, highly fractured sand should be used. Because there are regional differences in sand characteristics, a knowledgeable local pavement maintenance engineer should be consulted to insure that the appropriate amount and type of sand is chosen to regain any lost skid resistance. Sanding is best done by mounting a sand slinger on the applicator and applying approximately 0.10 to 0.5 pounds of sand per square yard to achieve needed friction results. Consult Asphalt System's Technical Representative for specific details. Striping: Striping should be done in two phases, the first phase is to be a 30% stripe after the GSB-88® has had sufficient time to cure. Final Striping should be done 30 days after the final application. Maintenance: Under normal traffic conditions a single application of GSB-88® when properly applied, should not require reapplication for 3 to 5 years. Thereafter, additional applications of GSB-88 can be reapplied to extend the life of the pavement indefinitely. Warranty and Disclaimer: Refer to www.asphaltsystemsinc.com for terms and conditions. Uses and uses advised against: USE-Asphalt Sealer, fog seal. Response Statement (s) IF IN EYES: Rinse cautiously with water for several minutes. Remove contact lenses, if present and easy to do. Continue rinsing. IF exposed or concerned: Get medical advice / attention. IF eye irritation persists: Get medical advice / attention. Other Hazards Avoid direct contact with heated material above 90oC (190 F) Once cured, the inert solid material is considered non-hazardous. Please see package labelling or manufacturer’s literature for more detail on usage, handling, storage and disposal under different applications. Eye Contact: If contact with hot material occurs, flush gently with cold running water. Adhered material should only be removed under the medical direction. Seek immediate medical advice. Skin Contact: If contact with hot material occurs, drench area immediately with cold water, do not attempt to remove material adhered to skin. Seek immediate medical attention. Inhalation: If inhaled, remove from contaminated area. To protect rescuer, use a Type A (organic vapor) respirator or an air-line respirator (in poorly ventilated areas). Apply artificial respiration if not breathing. Ingestion: For advice, contact a Poison Information center or a doctor (at once). If swallowed,do not induce vomiting. Do not give anything to drink unless directed by a physician. Never give anything by mouth to a person who is not fully conscious. If significant amounts are swallowed or irritation or discomfort occurs, seek medical attention immediately. First aid Facilities: Eye Wash facilities and safety shower are recommended. Avoid contact with hot material, as burns may result. Bitumen’s, occupational exposure to straight run bitumen and their emissions curing road paving, are classified as possibly carcinogenic to humans (IARC Group 2B) However, since this product is not intended to be heated above 90oC the carcinogenic potential is significantly reduced. Burns caused by bitumen require special medical treatment. Consultation with a burns specialist experienced in bitumen burns is advisable in the first instance. Bitumen burns: If hot bitumen contacts the skin, flush immediately with water and make no attempt to remove it. Use wet, cold towels, if face, neck, shoulder, or back etc. are burnt. Cool burn areas for 30 minutes and seek immediate medical attention. Where bitumen completely circles a limb, it may have a tourniquet effect and should be split longitudinally as it cools. If eye burns result flush with water for 15 minutes, pad and seek immediate medical attention. Extinguishing Media: In case of fire, use water fog, dry chemical or carbon dioxide extinguisher or spray. DO NOT USE water jet. Special Hazards arising from the substance or mixture; Combustible. May evolve toxic gases (carbon/ sulphur/ nitrogen oxides, hydrogen sulphide, hydrocarbons) when heated to decomposition. Advice for Firefighters; Evacuate area and contact emergency services. Toxic gases may be evolved in a fire situation. Remain upwind and notify those downwind of hazard. Wear full protective equipment including self-contained breathing apparatus (SCBA) when combating fire. Use water fog to cool intact container and nearby storage areas. Environmental Precautions; Contain material and prevent product from entering drains and waterways. Collect and seal in properly labelled containers for disposal. If contamination of sewers or waterways has occurred, contact local emergency services. Methods of Cleaning up; contain spillage, then cover / absorb spill with non-combustible absorbent material (vermiculite, sand or similar) collect and place in suitable containers for disposal. Eliminate all ignition sources. Reference to other sections; See Section 8 and 13 for exposure controls and disposal. Precautions for safe handling; before use carefully read the product label. Use of safe work practices are recommended to avoid eye or skin contact and inhalation. Observe good personal hygiene, including washing hands before eating. Prohibit eating, drinking and smoking in contaminated areas. Conditions for safe storage, including any incompatibilities; Store in well-ventilated area removed from ignition sources, oxidizing agents and foodstuffs. Keep storage vessels closed when not in use. Take precautionary measures against static electricity discharges. Specific end use (s); not applicable. Engineering controls; Avoid inhalation by working upwind where possible. Use in well ventilated areas. Maintain vapor /fume levels below the recommended exposure standards. Maintain fume levels below the recommended exposure standard. Personal protective equipment (PPE) should meet national recommended standards. Check with PPE suppliers. Eye / Face Wear a face-shield or splash proof goggles when handling hot material. Wear safety glasses when handling cold material. Hands Wear heat resistant leather or insulated gloves when handling hot material. Wear chemical resistant gloves (i.e. Nitrile) when handling cold material. Body Avoid contact with skin and clothing. Wear impervious coveralls and heat resistant boots when handling hot material. When the risk of skin exposure is high, an impervious chemical suit may be required. Respiratory Where an inhalation risk exists in enclosed or partly enclosed environments (i.e. underground parking, large tanks, tunnels etc.) wear a type-A class P1 (organic gases /vapors and particulate) respirator, dependent on a site specific risk assessment. Reactivity: Carefully review all information provided in section 10. Chemical Stability: Stable under recommended conditions of storage. Possibility of hazardous reactions: Polymerization is not expected to occur. Conditions to avoid: Keep away from extreme heat, strong acids, and strong oxidizing conditions. Hazardous Decomposition Products: May evolve toxic gases (carbon / sulphur/ nitrogen sulphide, hydrocarbons) when heated to decomposition. Acute Toxicity No known data is available for this product. Based on available data, the classification criteria are not met. Inhalation may cause headache, nausea and respiratory tract irritation. Once cured, the inert solid material is considered non-hazardous. Skin Contact with hot material can result in skin burns. Exposure to asphalt fumes (in the unlikely event of heating above 150oC (300 F) may cause dermatitis and photosensitizations. Once cured, the inert semi solid material is considered non-hazardous. Eye Contact with hot material can result in eye burns. . Exposure to asphalt fumes may cause irritation, redness, or pain. Once cured, the inert semi solid material is considered non-hazardous. Sensitization This product is not known to be a skin or respiratory sensitizer. Mutagenicity Insufficient data available to classify as a mutagen. Carcinogenicity Bitumen’s, occupational exposure to straight-run bitumen’s and their emissions during road paving, are classified as possibly carcinogenic to humans (IARC group 2B) it is strongly suggested that temperature plays an important role in determining the degree of exposure and also the carcinogenic potential of bitumen emissions. Therefore, since this product is not intended to be heated above 90oC (195 F) the carcinogenic potential is significantly reduced. Reproductive Insufficient data available to classify as a reproductive toxin. Release trace quantities of hydrogen sulphide within storage facilities. STOT –repeated Not classified as causing organ effects from repeated exposure. Aspiration This product is not expected to present an aspiration hazard. When set, the bulk of the bitumen dispersed in asphalt is fairly inert, and should not present an environmental hazard under normal conditions. This product is not expected to bioaccumulate through food chains in the environment. Emulsifies in water. Spillages are unlikely to penetrate soil. Avoid uncured emulsion run off into storm water drainage system. Waste disposal For small amounts dispose of to an approved landfill site. Contact the manufacturer for additional information if larger amounts are involved. Prevent contamination of drains and waterways as aquatic life may be threatened and environmental damage may result. Legislation Dispose of in accordance with relevant local legislation. Classification Safe work Australia criteria is based on the Globally Harmonized System (GHS) of Classification and Labelling chemicals. Risk Phrases R40 Limited evidence of a carcinogenic effect. Safety Phrases S36/37 Wear suitable protective clothing and gloves. All components are listed on AICS, or are exempt. The recommendation for protective equipment contain within this report is provided as a guide only. Factors such as method of application, working environment, quantity used, product concentration and the availability of engineering controls should be considered before final selection of personal protective equipment is mad. Health effects from exposure: it should be noted that the effects from exposure to this product will depend on several factors including: frequency and duration of use; quantity used; effectiveness of control measures; protective equipment used and method of application. Given that it is impractical to prepare a report which would encompass all possible scenarios, it is anticipated that users will assess the risk and apply control methods where appropriate. 0-least, 1-Slight, 2-Moderate, 3-High, 4-Extreme, PPE- Personal Protective Equipment Index Recommendation, *-Chronic Effect Indicator. These values are obtained using the guidelines or published evaluations prepared by the National Fire Protections Association (NFPA) or the National Paint and Coatings Association (for HMIS ratings). PH – relates to hydrogen ion concentration using a scale of 0 (high Acidic) to 14 Highly Alkaline). The information in this SDS was obtained from sources which we believe are reliable. However, the information is provided without any warranty, expressed or implied regarding its correctness. Some information presented and conclusions drawn herein are from sources other than direct test data on the substance itself. This SDS was prepared and is to be used only for the products listed. If the product is used as a component in another product, this SDS information may not be applicable. Users should make their own investigations to determine the suitability of the information or products for their particular purpose. The conditions or methods of handling, storage, use and disposal or the product are beyond our control and may be beyond our knowledge. For this and other reasons, we do not assume responsibility and expressly disclaim liability for loss, damage, or expense arising out of or in any way connected with handling, storage, use, or disposal of the product. Prepared by: Asphalt Systems Inc.